Continue on to see the reveal trailer, the first NBA 2K19 screenshot featuring Antetokounmpo, an archive of today's press conference, and the official press release straight from 2K Sports. 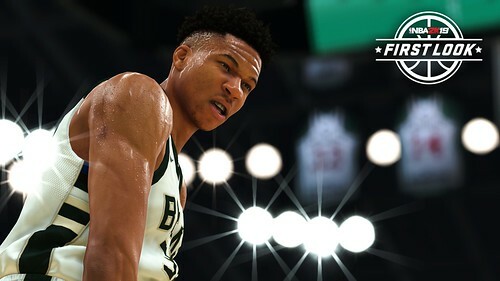 2K today announced that the NBA® 2K19 Standard Edition will feature Milwaukee Bucks standout and two-time NBA All-Star Giannis Antetokounmpo on the cover. The first player in NBA history to finish a regular season ranked in the top 20 in total points, rebounds, assists, steals, and blocks, Antetokounmpo has earned the nickname “Greek Freak” for his incredible athletic abilities. 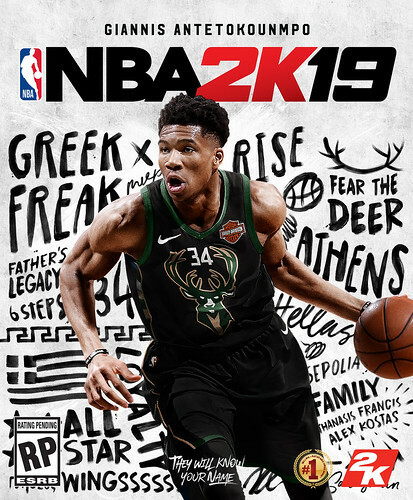 Keeping with the NBA 2K19 creative theme, the cover features key words and phrases which hold significance for Giannis, including “Father’s Legacy,” “Fear the Deer,” “Phenom” and of course “Athens,” paying homage to his hometown in Greece. •	1 Giannis Antetokounmpo Sapphire MyTEAM card. Developed by Visual Concepts, the NBA 2K19 Standard Edition will be available on September 11, 2018 for $59.99 on Xbox One, PlayStation®4 system, Nintendo Switch, and Windows PC platforms. The NBA 2K19 20th Anniversary Edition will be available on September 7, 2018 for $99.99 on Xbox One, PlayStation®4 system, Nintendo Switch, and Windows PC platforms.